Millions of U.S. drivers cross faulty or obsolete bridges every day, highway statistics show, but it is too costly to fix all these spans or adequately monitor their safety, says a University of Maryland researcher who has developed a new, affordable early warning system. This wireless technology could avert the kind of bridge collapse that killed thirteen and injured 145 along Minneapolis’ I-35W on 1 August 2007, he says — and do so at one-one-hundredth the cost of current wired systems. A University of Maryland release reports that Kalantari has created tiny wireless sensors that monitor and transmit minute-by-minute data on a bridge’s structural integrity. A central computer analyzes the data and instantly warns officials of possible trouble. He plans to scale-up manufacture in the fall. 79,000 others are functionally obsolete, exceeding their life-span and carrying loads greater than they were designed to handle (as of 2007). 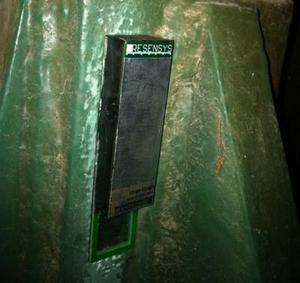 Kalantari’s sensors measure indicators of a bridge’s structural health, such as strain, vibration, flexibility, and development of metal cracks. The sensors are small, wireless, rugged, and require practically no maintenance, he says. “The immediacy, low cost, low energy and compact size add up to a revolution in bridge safety monitoring, providing a heightened level of early-warning capability,” Kalantari concludes. Newer “smart” bridges, including the I-35W replacement in Minneapolis, have embedded wired networks of sensors. Kalantari says that the cost is too high for use on older spans. “A wired network approach will cost at least 100 times more than a wireless alternative, and that’s simply unaffordable given the strain on local, state, and federal budgets,” Kalantari estimates. Current federal requirements call for an on-site, visual inspection of highway bridges once every two to five years, depending the span’s condition. Bridges deemed structurally deficient must be inspected once each year. In its report on the Minneapolis bridge collapse, the National Transportation Safety Board identified a faulty gusset plate — a connector essential to the bridge’s structural integrity — as a likely cause of the disaster. Kalantari expects his technology to fill that need. Kalantari says he is working in an “emerging market with no widely accepted commercial solution now available.” To commercialize his technology, he founded Resensys LLC, a start-up in the University of Maryland’s Technology Advancement Program incubator. He expects to scale-up production in September.